Read on to learn about what you must do to bring your clinical sports medicine practice from unknown to bustling with business. For clinical sports medicine practices, one of your biggest challenges to being successful is lead generation. Lead generation is all about helping people to know you exist and getting customers to the door. How can you go from being unknown to having patients knocking on your practice door? In this blog, you’ll read about the three most important tips you need to grow your clinical sports medicine business. Search Engine Optimization (SEO) refers to the marketing strategy required to get individuals to find your business on the first page of major search engines such as Yahoo, Google, and Bing. At Farotech, we work with many companies like yours, who tell us that they rank on these search engines because people find them when they type in the specific company name. But the reality is that it’s not hard to be found by your own name. You want to focus on looking for clients who still don’t know that you exist. 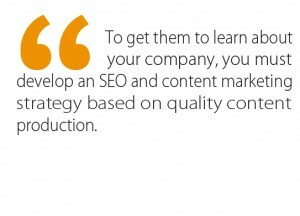 To get them to learn about your company, you must develop an SEO and content marketing strategy based on quality content production. Some marketing firms out there may tell you that they can develop a strategy for you without creating quality. RUN FROM THOSE COMPANIES AS FAST AS YOU CAN! 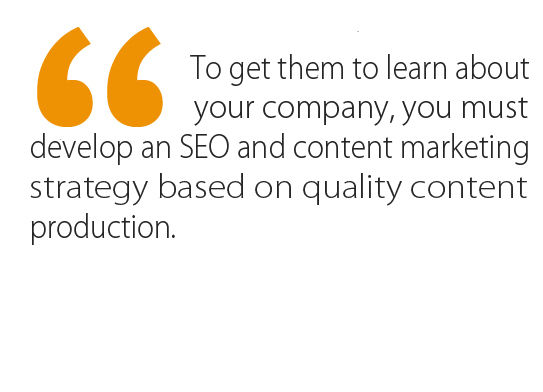 The reality is that content is king when it comes to SEO. Step 1: Start out by developing a list of keywords that people will search for. Consult an SEO specialist to find out which keywords will have the highest search volume. If you’re a local company, we recommend that you add geographical modifiers to the keywords you’re selecting, because often the information you will get from an SEO company has to do with national campaigns. Write blogs or pages on your website that contain at least 400 words. You should also write regularly. Our recommendation is to write a minimum of once a week on your blog. When you do this, Google recognizes that you’re producing content consistently and begins to view you as a thought leader, and your content as authoritative. Once Google realizes you’re a thought leader, your page begins to rank higher than pages that don’t produce content as often. So establishing your status as a thought leader is one of the most important things you can do for lead generation. A CRM is a location where you and your employees log in to enter all the client information that you have in one centralized portal. Long term, this becomes your Client-Relationship Management tool. Every time you engage with your client, the information from that interaction should be there. Some companies make the mistake of having client-relationship tools only for active clients. A CRM or marketing software should be connected to each other as early on as during the sales (or “lead generation”) process. A CRM will allow you to drop cookies on people’s computers when they come to your website for information. At that point, a clinical sports medicine company can track every engagement that user has with your website. If you don’t have this kind of tool, your competition will leave you behind very quickly because they have the information they need to reach out effectively and create leads, while you are left guessing about what to do next. So we encourage you to get a CRM as soon as possible! So far we’ve brought people to your website through SEO, have been able to track their involvement with the website through CRM. The final step is to add marketing automation to the process, which occurs once a prospect’s information has been inputted into your database and begins to receive e-mails that are pre-written. These marketing automation e-mails should follow a general pattern. The first should provide a brief overview. We recommend that if you can add a video to the first e-mail, do it. The second e-mail usually introduces features and benefits about your products or services. The third e-mail should be about the cost of procrastination, where you explain why they should not delay using your product or service. The fourth e-mail should bring testimonials to their attention. These function to show that you are qualified to serve them and that people similar to them have had success because of your help. The fifth e-mail should contain the next offer, which helps to qualify the lead a little bit better. We hope that you have benefited from these marketing tips. 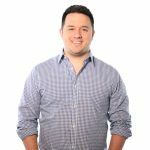 These represent just a few of many types of medical marketing tips you can use to cultivate leads and make your clinical sports medicine company more well-known. What we’d like to know in the comments section below is: What tips have you used to create success? Do you have questions about other tips that you would like our experts at Farotech to answer?